Tourism chiefs are hoping to attract a record number of Chinese tourists to the Philippines this year. Picture via Jing Daily. Tourism chiefs are aiming to attract 1,500,000 Chinese visitors to the Philippines in 2018, up from one million arrivals last year. 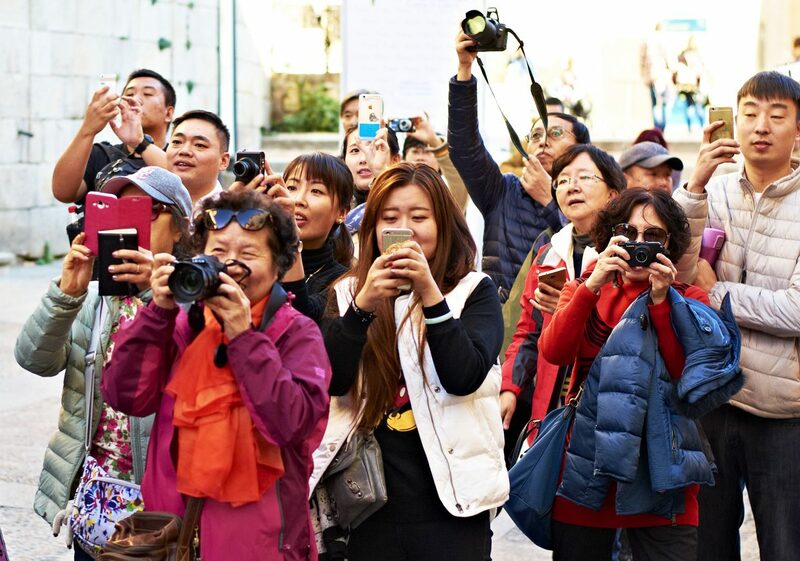 Last year, 968,447 Chinese tourists visited the country, up from 675,663 in 2016. Ms Teo put the increase down to the “warming relations” between the Duterte administration and the Chinese government, despite ongoing territorial disputes in the South China Sea. In the first month of 2018 alone, 111,344 Chinese arrivals were recorded — about 30 per cent up on last year. Globally, 2017 was the year in which China became the world’s biggest source of tourists, with 129 million outbound trips recorded by Ctrip, China’s largest online travel provider. In addition, 1,800 seats from the direct flights to Cebu, 3,183 to Kalibo, and 197 to Puerto Princesa are expected to attract more Chinese tourists this year. For the Chinese New Year period, a total of 2,937 seats are opened for the month of February from Chinese cities including Guangzhou, Xiamen, Ningbo, Hangzhou, Nanjing, Wuxi and Tianjin. Aside from better air connectivity, the DOT is also focusing on cruise tourism. Cruise ships SuperStar Virgo and Genting World Dream paved the way last year while Costa Cruise Atlantis will start this month for a year-round deployment with an estimated 48,420 guest capacity. Royal Caribbean Voyager and Ovation, with 3,500 passenger capacity each, will visit the Philippines in June and July. Chinese cruise lines including Diamond Exquisites and Taishan Cruise are also expected to visit the country this year. Boracay, Cebu and Bohol were the favourite destinations of Chinese travellers last year. “We are also preparing more choices for the Chinese market. We are now pushing Puerto Princesa, Davao and other destinations,” Ms Teo said.